When you are getting ready to move in the Miami area, the job will be a little more complicated if you have a piano to consider. While pianos make a great addition to a home – whether to be played or just used as a beautiful piece of furniture – they aren’t exactly easy to move from one place to another. Considering how valuable and delicate a piano can be, you want to work with an experienced moving company who has the knowledge and equipment to get your piano safely from one place to another. Even if you plan on handling most of your Miami-area moving job on your own, hiring professionals to deal with moving the piano is a wise decision. Most people lack the proper equipment to move a piano, and it can be dangerous to try and move such a large item on your own. A moving team like the Miami Movers will know to both get the piano safely onto a truck, but also back off the truck and into place in your new home. 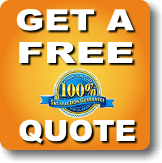 To pick out the right piano moving company in Miami to handle this task, you want to look for three specific qualifications above all else. Only companies that meet the three qualifications below should make the short list of candidates that you can pick from as moving day gets closer. Only work with a piano moving company that is both licensed and insured to do the job. Most likely, the piano is one of the most-expensive items that you own, and having it damaged in transit would be a costly problem. The insurance of the moving company should protect you from loss should something happen to the piano while it is in their possession. Before choosing any company to do the job, make sure to ask about how the insurance process works, and what would be covered if damage is sustained while they are moving the item. Regardless of whether you are moving a piano or just a house full of other items, you need to look for a Miami moving company that has years of experience in the industry. Trusting a business with the job of moving your own possessions isn’t something that you should take lightly – do your research and find a company that has been around and is trusted by the community in Miami and surrounding areas. Some moving companies are willing to move pianos, but don’t really have much experience doing so. 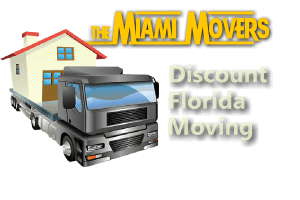 Make sure you look for a Miami moving company that specifically offers piano moving service, and has experience completing such jobs. The art of safely and successfully moving a piano is something that is learned with practice. If you value your piano and want to make sure nothing happens to it, pick a moving company that has done this kind of job time and time again.